When we rented our bikes in Copenhagen, the agent could not have been more enthusiastic. He was delighted to add child seats to our rental bikes and told us about commuting with his own kids. “Everyone should bike! Biking is wonderful! Where are you from?” he gushed. Yes, our Copenhagen bike shop guy feared the hills of San Francisco, the 2nd hilliest city in the world, not to mention the wind. Looking at his box bike (used to ferry two kids each morning, a Christiania), this was no surprise. I have seen Dutch-style box bikes in San Francisco on occasion, predictably only on the flatter streets, but even so their riders looked miserable. Even the standard Copenhagen rental bikes, hulking black steel beasts with no gears, noticeably heavier with the addition of a child seat, let alone an actual child, wallowed like hippos on the laughably gentle slopes of the neighborhood park. The kids, traveling effortlessly courtesy of their Bobike Maxis, were oblivious. As far as they were concerned, we had been holding out on them for years. They had always gotten sick in cars and they were tired of walking. They screamed with glee everywhere we went and hugged us from behind. Before this trip, the prospect of riding bikes with the kids seemed wildly impractical. When I thought of biking in San Francisco, I thought of hipsters on fixies yelling, “BREEDER!” as they whizzed past us on Critical Mass rides. Sure, we’d lived in cities for years, and we weren’t excited about driving, and particularly not about traffic and parking, but we were pedestrians. But our kids killed our habit of long walks; once our son grew out of the stroller, it often seemed unlikely that we’d ever leave the house again. But we had once been bike commuters, back in college. We were terrible bike commuters, of course, riding bikes we’d gotten in childhood without helmets or lights. That wasn’t going to fly as safety-conscious parents. But spurred by our kids’ enthusiasm, we were willing to change. Matt’s experience riding the N-Judah downtown every workday had already made him desperate to try biking. However SF hills are intimidating even without 30-75 pounds of kid cargo. Our attempts to find bikes that would let us haul our kids up those hills were initially pretty daunting. Family biking in the US is a total ghetto, and the response from most parents seems be either to make it solely a recreational activity or import a monster box bike from Europe. 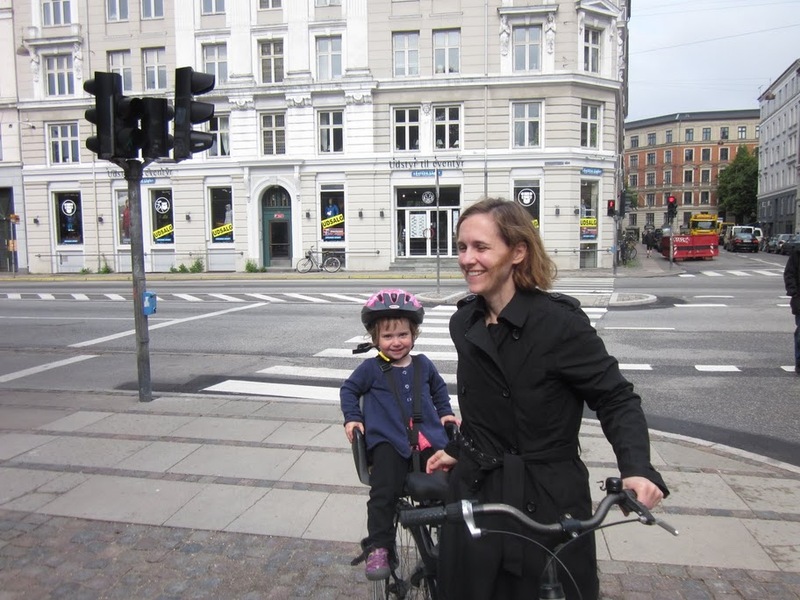 We had no interest in recreational biking, commuting without the kids would break their hearts, and it was pretty obvious that the 60 pound bikes we didn’t enjoy dragging up Copenhagen’s basically nonexistent hills wouldn’t serve on San Francisco’s seriously intense hills. In this situation, as in so many others, I assumed that the internet would save us. This was only partly true.